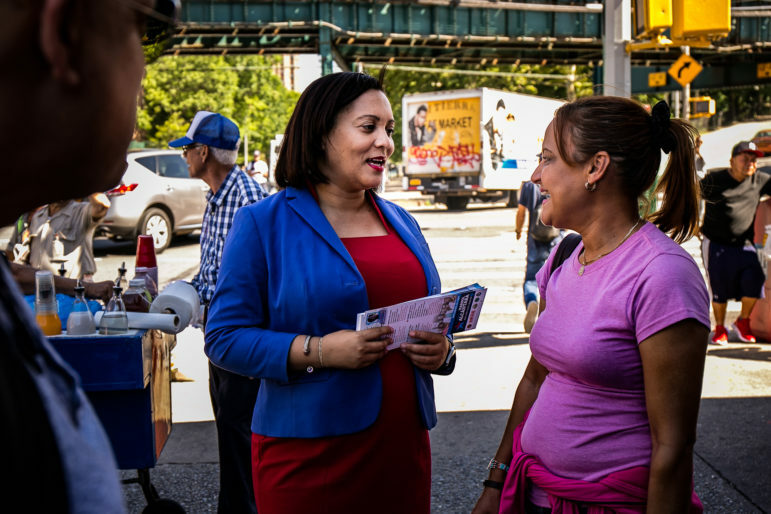 On a recent Thursday afternoon in the Inwood section of Manhattan, New York State Senator Marisol Alcantara canvassing at the intersection of Nagle Avenue and Dyckman Street. On paper, there is little difference between Marisol Alcantara and Robert Jackson. They are both progressive Democrats from northern Manhattan with roots in the labor movement. Both have played David in the fight against different Goliaths—Jackson as the lead plaintiff in the Campaign for Fiscal Equity lawsuit that found New York State was shortchanging city schools, Alcantara as an insurgent candidate shunned by her own brethren who somehow defeated an 18-year incumbent to become the first Latino district leader in West Harlem seven years ago. 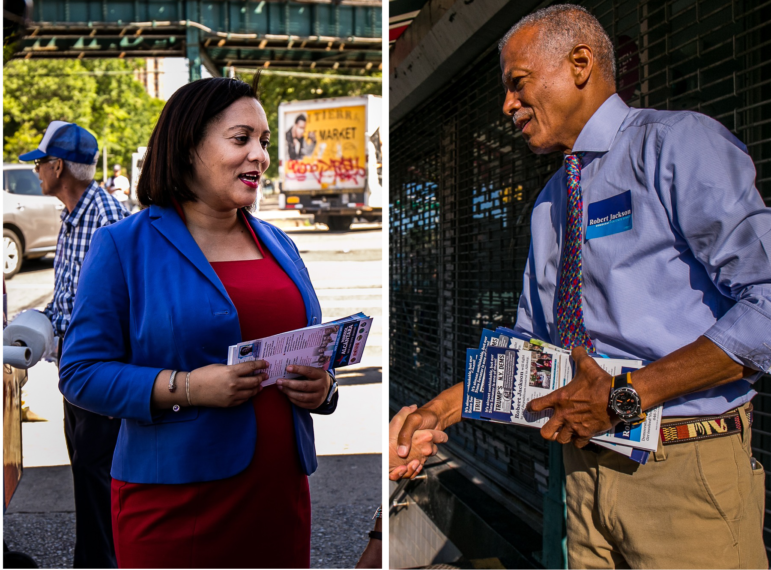 The key difference is that when they ran in a primary for the 31st State Senate district two years ago, vying for the seat vacated by Adriano Espaillat heading to Congress, Jackson took a pledge to caucus with the mainline Democrats if he won. Alcantara did not. Instead she was the beneficiary of nearly $540,000 from the campaign finance entity operated by Independent Democratic Conference leader Sen. Jeff Klein. Alcantara prevailed in that September 2016 primary with 32 percent of the vote. Former Bloomberg administration member Micah Lasher claimed 31 percent and Jackson 30 percent. Alcantara was formally elected the day Donald Trump won the presidency and, as part of the IDC, supported Republican control of the state Senate from her first day in office until the reunification of the Democrats this spring. Both candidates appeared on the Max & Murphy show on August 1st. Now Alcantara finds herself as perhaps the most vulnerable former member of the IDC facing a primary on September 13. Jackson has endorsements from a long roster of public officials (including two members of Congress), a litany of political clubs, some labor organizations and a who’s who of progressive advocacy groups. And with a court having declared the IDC’s campaign-finance mechanism illegal, and the state’s top campaign-finance enforcement officer looking to return that money to donors, Alcantara faces the threat of a mortal blow to her finances just before the election. Alcantara doesn’t deny that she faces long odds. What she does dispute is that she deserves to be judged solely for her membership in the IDC. Alcantara is not friendless. Senate Minority Leader Andrea Stewart-Cousins is backing her, as are several unions, like 1199 SEIU, DC 37 and the New York State Nurses Association, where she used to work as an organizer. Before her time with the nurses, Alcantara—who emigrated from the Dominican Republic when she was 12 and grew up outside of Washington, D.C.—worked for an organization called Immigrant Workers Action Alliance that aimed to help service-sector employees affected by the September 2001 terrorist attacks, organized Latino voters in Florida in the 2004 presidential election, and was part of Rev. Al Sharpton’s National Action Network. Her 2018 campaign platform sounds right in step with that progressive backstory. She lists as her campaign priorities the Dream Act, reproductive rights, speedy trial, an end to cash bail, early voting, repealing vacancy decontrol, a ban on coastal drilling, tighter gun control and public campaign financing. The question is whether her joining the IDC was in step with those principles. The deal between the GOP and Klein’s coalition was that the breakaway Democrats assented to Republican control of the chamber (which depended chiefly on Brooklyn Democratic Sen. Simcha Felder’s decision to caucus with the GOP) in exchange for getting action on its bills. Well, some of its bills. Alcantara has passed a dozen pieces of legislation since taking office in early 2017, and her office says other proposals of hers have been incorporated into the state budget instead of law. One law compelled the state Division of Homes and Community Renewal to add to its standard rent-stabilized lease rider new language informing tenants about what non-rental fees landlords are allowed to charge. Others mandated a study of emergency alert notification systems and created advisory panels on employee-owned businesses and adolescent suicide prevention. She was also the sponsor on two bills that expanded contracting opportunities for minority and women-owned businesses in New York City. But none of those laws address the core progressive agenda Alcantara has articulated. Rent reform has gone nowhere. Another case in point is the Farmworkers Fair Labor Practices Act, which would rectify inequities in state labor laws that exempt farm laborers from key protections. The Assembly has passed the law again and again. In the Senate, Espaillat—Alcantara’s predecessor—tried and failed to get the bill passed for six years. Alcantara picked up the mantel, reintroducing the bill in January 2017. It got a hearing a year later, passed the Labor Committee she heads, and now lies fallow in the agriculture committee. To Jackson, this demise of the farmworkers’ measure just strengthens the indictment of Alcantara’s decision to join the IDC: What was the purpose of giving Republicans a larger governing majority if meaningful legislation went nowhere? “She knows that many of these things that she has signed on to, which have passed the Assembly but the state Senate has not even had a hearing or not passed it, they’re not going to be done. And the reason they’re not going to be done is the IDC and Sen. Simcha Felder have basically given control of the State Senate to the Republicans and to John Flanagan. [Alcantara] knows it. The activists know it.” He gets particularly incensed talking about the episode in March 2017, when Democrats tried to get school funding attached to a Republican bill. A vote was called on that amendment. A show of hands was demanded. Faced with a choice between voting against school funding or voting against their Republican allies, the IDC simply walked out of the chamber. “That’s the sham — sham! — being played on the people we represent,” Jackson says. Alcantara points with pride to other kinds of success: Namely, getting state money for the district. Her campaign website lists funding for after-school programs, $1 million for CUNY in the Heights, $150,000 for tenant legal services, hundreds of thousands for local schools, and money for suicide prevention, among other recipients. The senator believes she has brought vital resources to a district “that had been an afterthought.” Jackson counters that “eating crumbs off a Republican plate like a rat” is small consolation when people are being evicted from homes or deported from the country with implicit approval by the Republican majority. In Alcantara’s telling, it was the establishment’s dismissal of her that led to her attachment to the IDC in the first place. She jumped into the race to replace Espaillat rather late and, “When I reached out to folks that I thought would have been natural allies or that would have been interested in backing a woman, a Latina, an immigrant for the seat, they were not interested in backing me,” she says. “There were people who didn’t even meet with me, didn’t give me the time of day.” Councilmember Ydanis Rodriguez and Espaillat were her only local allies. “The entire establishment was against me.” But Diane Savino, the Staten Island senator who was one of the founding members of the IDC, also reached out. “And to be honest, only the IDC showed an interest at changing the dynamic of the NYS Senate”—in other words, adding a Latina voice. In fact, several top pols—including Comptroller Scott Stringer and Council Speaker Corey Johnson—have endorsed Alessandra Biaggi, the Democratic challenger to Klein, and elected officials have also sided with some of the other challengers to the ex-IDCers. But there’s no question that a heavier slate of establishment names is behind Jackson than any of the other ex-IDC opponents. 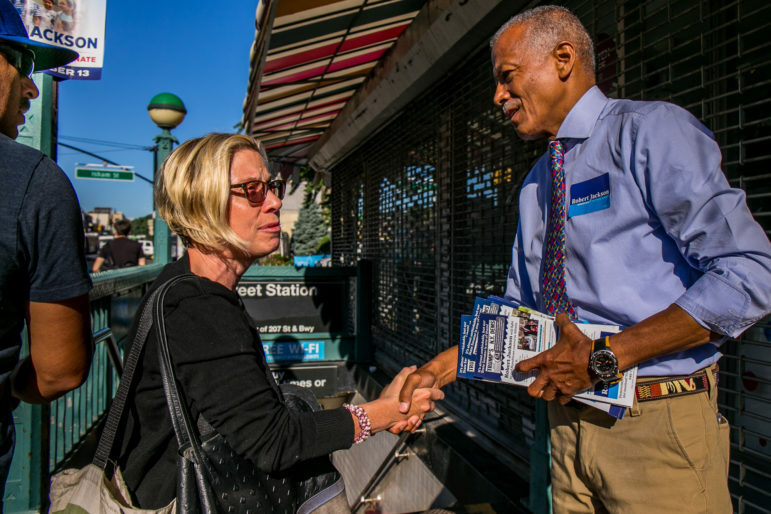 Robert Jackson canvassing at the Isham street entrance of the A train station. Two years after a narrow third-place finish, he believes the math is on his side this time. This will be the 12th time that some northern Manhattan voters will have the chance to vote for Jackson. He won a five-way Council primary in 2001 with 30 percent of the vote, cruised in the general, and easily won primaries and general elections to retain the seat in 2003, 2005 and 2009. But his attempts at higher office have fallen short. He placed third with 19 percent in a crowded Democratic primary for Manhattan borough president in 2013. Less than a year later he announced a challenge to Espaillat, who decided to seek re-election to his Senate seat after losing a Congressional primary to Charlie Rangel for the second cycle in a row. Jackson lost that race fairly narrowly, 47-40. Two years later, Rangel retired, Espaillat was moving to Washington in his place, and Jackson, Alcantara and Lasher battled to replace Espaillat. A minor candidate named Luis Tejada took five percent of the vote. Alcantara, Lasher and Jackson split the rest more or evenly: Only 533 votes separated the winner, Alcantara, and Jackson in third place. Jackson’s policy platform this time is substantially more detailed than Alcantara’s. On education, he wants to “assign effective teachers to ‘high needs’ schools with additional pay and other supports designed to improve both instruction and outcomes” and “increase awareness and training on dyslexia, its warning signs and appropriate intervention strategies.” Among other things, his electoral reform wishlist includes “a truly independent redistricting Commission with the goal of ending partisan gerrymandering.” He calls for ending vacancy decontrol in rent-stabilized housing and also repealing the Urstadt Law that gives the Senate power over the city’s rent laws in the first place. Bespectacled and lean, Jackson is a long-distance runner by hobby—he’s ignored injuries on the way to finishing marathons and once walked to Albany to bring attention to education inequality. 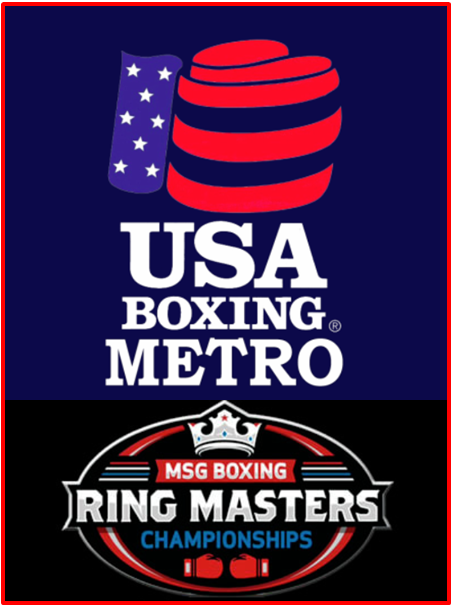 But he’s a middleweight fighter by disposition. As a Councilmember he led the Education Committee and often confronted Bloomberg-era DOE officials, his voice rising, insistent. Sometimes Jackson’s intensity has created awkward moments – like in 2013, when mayoral candidate Bill Thompson failed to acknowledge him at an event and Jackson shouted, “Hello? Am I black enough for you, brother?” or in 2016 when he told NY1 Noticias, “I say loud and clear to anyone who is viewing this and beyond: You don’t have to be Latino, you don’t need to be Dominican to best represent the district…because quite frankly, there have been Dominicans that have been representing Dominican districts that are going to prison. So don’t tell me they were good representatives.” Some Dominican-American pols found the comments offensive. 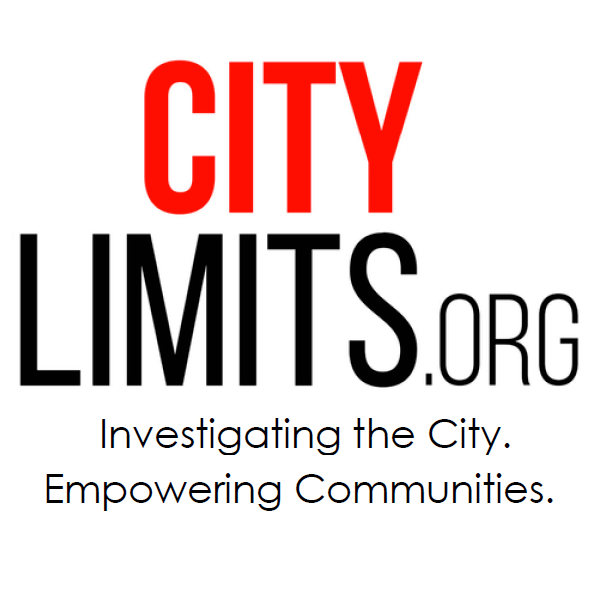 As a Councilmember, Jackson supported Bloomberg’s bid to overturn term limits, citing his own long-time opposition to them. He backed congestion pricing, but resisted the Bloomberg ban on massive sodas, citing the impact on small businesses—a longstanding area of concern for him. It was ostensibly with small businesses in mind that he and the Black, Latino and Asian Caucus (which he co-led) also opposed Bloomberg’s ban on foam containers. It was Jackson’s amendment to the foam ban—which called for a study of whether foam could be recycled—that led to years of delay implementing the ban, much to the delight of the Restaurant Action Alliance. When Jackson ran for Manhattan borough president, the Restaurant Action Alliance spent $13,000 on a mailer for him – the only spending the organization did, an independent expenditure beyond Jackson’s control. By 2015, Jackson was the president of the Restaurant Action Alliance. In the capacity, he testified at one point in favor of making it easier for businesses to escape the ban, arguing, “any avoidable harm to a small business’s bottom line causes that business owner undue financial hardship” – a sweeping statement that could be hard to reconcile with some progressive positions regulating businesses. While the contest between Alcantara or Jackson will be decided on September 13, its impact won’t be clear until after the general election, which will decide whether the Senate remains in nominal Republican control (thanks to Felder caucusing with them) or if the Democrats finally break through. Ms. Alcantara might have a progressive past, but her first term in Albany has proven her to be too safe in her actions. Why didn’t she support the Child Victims Act or the Reproductive Health Act – two important bills that have been ready to vote on for years? She seems to be saying that she has to follow the agenda of more conservative, upstate Democrats. But I have an issue with that. First, her predecessor was too conservative for this borough as well, and would have been voted out had he stuck around. I’m under the impression that Espaillat practically handed her the job (and a tougher battle in 2018). And second, how can you act like a conservative, upstate Democrat in this borough? We have a new paradigm in the age of an imploding GOP – be progressive or be voted out. Refreshing to know that she is not a cookie-cutter progressive whose only skill is to read off the bullet points given to her by their political masters. Robert Jackson is a profesional politician whose only job outside of politics is politics. Never done anything for the people east of Broadway, folks who seem to treat us as third class citizens. It’s all too appropriate that the senator says “they always accuse you of pulling the race card, of making everything a racial issue” and then immediately pivots to a racial dog whistle about “how I am treated on the other side of Broadway”. Anyone that lives in the neighborhood knows which group of people she is talking about. Since the moment that I read about the racist remarks on the Senate floor directed at Senator Gianaris by Senator Alcantara, I knew that I would be voting for her opponent, whoever he/she would be. Why would anyone want someone representing them who is prejudiced against their race? You know Alcantara was endorsed by the UFT, right? Robert Jackson ran one of the worst district offices when he was a council member. High turnover, he treated staff like crap. Then he ran for Manhattan Borough President…oh oh that’s not on his bio??? why?? Now, this is the 2nd time for his to run for Senate. Couldn’t they find someone else to run? I am learning about both candidates for the first time and hear both positives and negatives that leave me on the fence. I like Ms. Alcantara’s progressive background and her willingness to join ‘the IDC to get things accomplished. But indeed it sounds like her strategy has not been particularly effective, she isn’t owning up to it and seems too pessimistic about the potential of a blue wave to really move the ball forward. I believe we should give representatives more than 2 years to make their mark, but would feel more comfortable hearing Ms Alcantara talk about her agenda to work with the Dem’s this time around. As far as Mr Jackson goes, I like the fact that he speaks his mind. But as someone who believes it is our responsibility to address society’s health and environmental impacts for the sake of our children, i cannot support Mr. Jackson’s rejection of the soda and foam ban with the excuse of protecting small business. It is the job of even small businesses to adapt their offers to better serve their public. I want a representative that is protecting that same public. Both of these candidates are unacceptable.If it didn’t divide the resulting votes into thirds we should have an alternative candidate. That’s the problem. Not only has Ms. Alacantra forgotten she was supposed to represent Democrats, she also seems to have forgotten that she represents the the Upper West Side Democrats who elected her, not rural or suburban districts. In a crowded field of Democrats hoping to become the state’s top law-enforcement official, the Hudson Valley congressman is positioning himself as the candidate best suited to take on President Trump. State Sen. Marisol Alcantara and former Councilmember Robert Jackson joined the show to discuss their competing cases to primary voters in Northern Manhattan and the West Side.